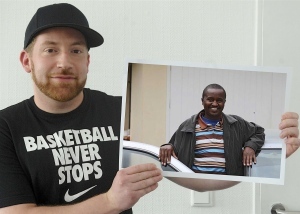 Remember the Kenyan driver Samuel who was featured on the Spiegel? I wrote the story here. (Click on the word here to go to the page with the story.) Jens read the story as well and was sooo moved by Samuel’s description of the Schwebebahn in Wuppertal that he felt moved to raise funds to bring Samuel to Wuppertal to see the Schwebebahn.31 year old Jens says he was so moved that a foreigner knew about the famous Schwebebahn and wanted to see it, that he felt he should make that happen for the 36 year old father of 3. 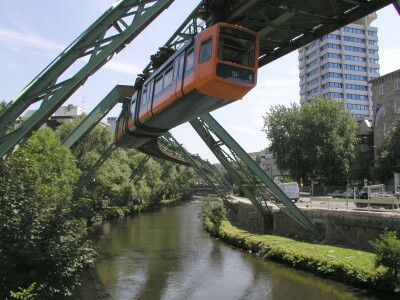 He knows the world has bigger problems that need to be solved but for him, his love for Wuppertal makes it worth the whole process. He opened a Facebook page “Wir laden Samuel nach Wuppertal ein“, which already has 113 likes. If you’d like to donate to this cause you can visit their Facebook page, just click on the name of the page. From his calculation the whole venture will cost at least a 4 digit figure, from visa processing to the flight costs to the all the touring when he gets to Germany. He hopes they can get him during the Christmas season so that he can see snow and visit the Christmas Markets. He spoke to Samuel who’s very fascinated by the idea. Whether it comes to pass leaves to be seen. What do you guys think? Is this a good cause to get involved in? Do you find it fishy he wants to invite someone who called Germans racists to a country full of Germans? Share your views.